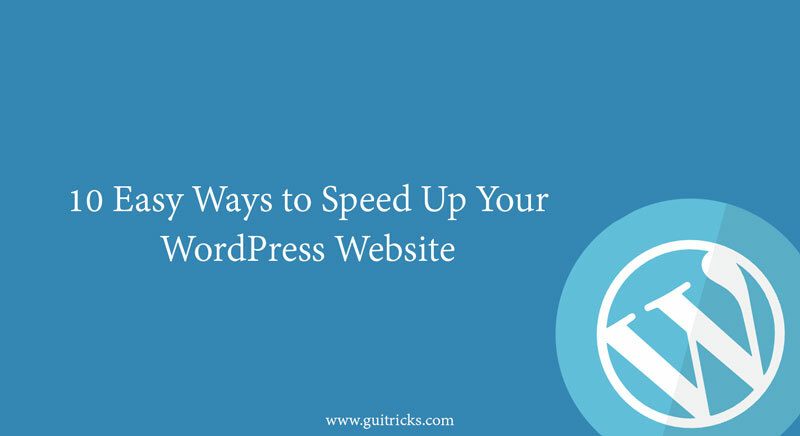 10 Easy Ways To Speed Up Your WordPress Website | GUI Tricks - In Touch With Tomorrow! 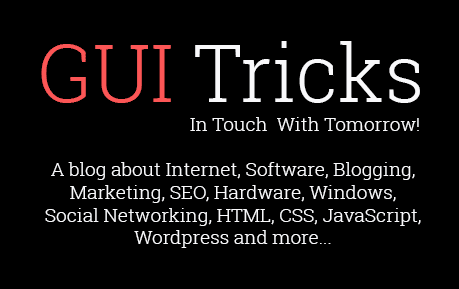 10 Easy Ways To Speed Up Your WordPress Website - GUI Tricks - In Touch With Tomorrow! There’s nothing worse than visiting a site and finding it to be slow and sluggish. If you are running a website, especially for business purposes, this could potentially damage your relationship with the customers and result in slower sales. The good news is that WordPress websites can be made quicker without a lot of hassle. Here are 10 easy ways to speed up your website. You want to ensure your theme and site framework are relatively simple. You don’t want to fill your site with features. Not only can they make it slower but they are often unnecessary tricks that take the visitor’s attention away from the main thing. You want to pick a solid framework that offers some customisation and only has the key features you are looking for in your site. When you start exploring the biggest blogs on WordPress, you will notice how many of them use content delivery network. This system takes the static files on your site and allows the visitors to download them by serving the files on servers closest to the specific visitor. There are different options available – Max CDN Content Delivery Network is a good place to start looking. WordPress has tons of different plugins and some of them are more useful than others. One plugin you definitely do want to get is the caching plugin. These can instantly improve your loading times and there are even free options available for you to download. You should also download the WP-Optimise plugin because it boosts the use of databases on your site. Essentially the plugin reduces the overhead on everything such as spam, posts, revisions, drafts and so on. It makes the website quicker and it can improve how well visitors find relevant information on the site. The loading times can also improve if you optimise the images you have on the site. You don’t even need to do this manually but instead download an image optimiser to do the job for you. You can use smush.it to automatically compress the images without reducing the quality of the image. You can use manual optimising tips as well if you’d rather have more control at what you do. You don’t want to allow other sites to directly link to images on your site because it can mean problems for your server. This is in a way theft of bandwidth and it can cause problems for your site. Instead, you can disable hotlinking and the leeching of your content on the WordPress site. You can also make the site faster by using an expire header in static resources. You can find tips on how to do this here. It’s essentially just copying a command on your site – you can do it in a few minutes and instantly improve how quickly your website loads. One of the most important aspects of maintaining a quick site is the host. Finding the right host can seem daunting – there are so many options out there and each host offers something that makes them sound like the best deal in the world. It’s super important to compare the different offers and make sure you find a service provider that fits your need. OZCodes.com.au has discount codes available for big host provides such as Bluehost, HostPapa and Host Gator – check out the offers to save some money. You should also stop storing all of your revisions because it will just keep using space on the site. If you don’t do anything, WordPress will continue to store every single draft version on the site – use a plugin to ensure it will delete older versions. You can set it to save 2 to 4 versions, which ensures you don’t have a lot of space clogged up. The above 10 tips will help you speed up your WordPress website in an instant. As you can see, they are all rather easy tricks that ensure you provide reliable and fast service for your visitors.